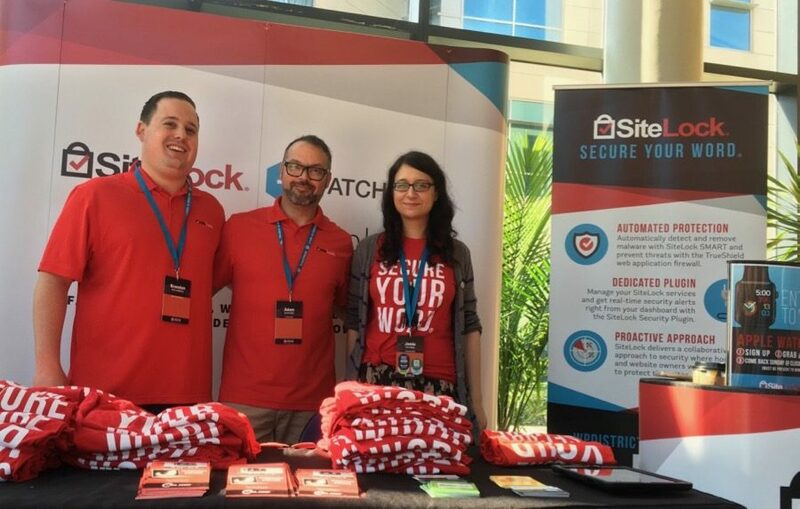 SiteLock was a Gold sponsor of this tenth-anniversary event and I had the pleasure of speaking twice. I did an AMA (Ask Me Anything) about security, as well as presenting to the Teen Camp on how to employ website security best practices when you’re just getting started with WordPress. 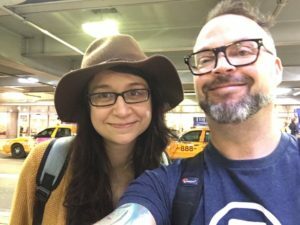 The weekend started with Jamie, our WordPress Evangelist, and I meeting at the airport on Thursday in preparation to work our sponsor table together for the first time since Jamie joined our team. Friday was set aside for session workshops. There were three tracks, each with a specific focus. The Developers Workshop focused exclusively on the new Gutenberg editor. This workshop track started with sessions reporting the current status of Gutenberg, including a walkthrough detailing the latest features and benefits. Presenters then moved into setting up for Gutenberg development, and finally into actual “how-to” sessions including writing code to build your own Gutenberg blocks. One of the most exciting things Jamie learned about Gutenberg is the use of / shorthand to autofill tags. For example, typing “/col” is a quick way to create a column while you’re writing. Being able to add advanced display functionality alongside content right in the editor is a feature that has been absent from the default WordPress editor, and has traditionally been available only with clunky page builder plugins. Gutenberg is still in development and features are still being worked out, but she’s excited about where it could to take us both as developers and content creators. The Gutenberg editor was well represented at #WCMIA. 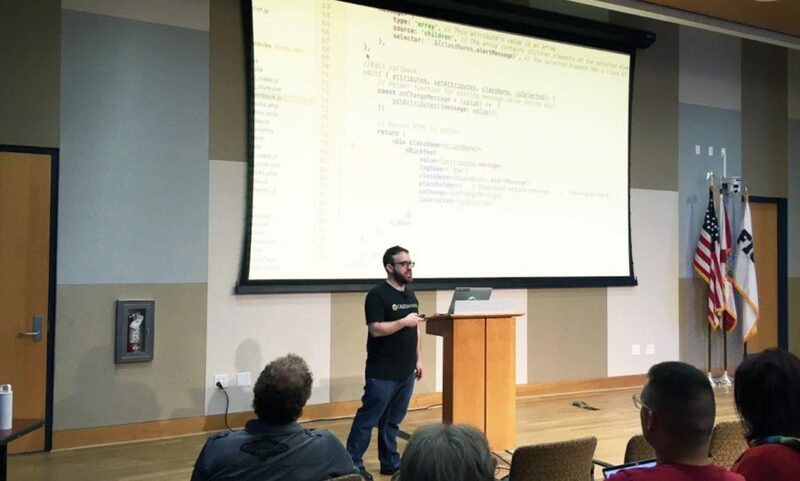 In addition to the full day Gutenberg Development Workshop, Gutenberg was also part of Matt Cromwell’s user introduction session Saturday and the fireside chat between WordPress founder Matt Mullenweg and John James Jacoby. It was evident everyone was excited to share what they know. 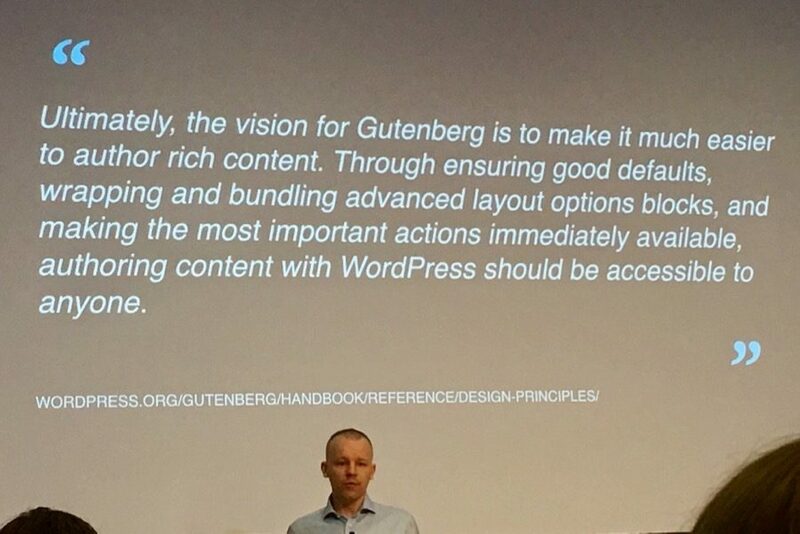 Gutenberg will be shipping with WordPress v5.0 which does not have a hard release date yet, but rest assured it’s coming soon. I’ll be writing more about Gutenberg here in the coming weeks so stay tuned. There were dozens of excellent full session and lightning talks, at WordCamp Miami. Below is a recap of some of our favorite sessions. As a long-time WordPress user and a strong advocate of the platform, Francesca Marano presented one of my favorite sessions of the event. 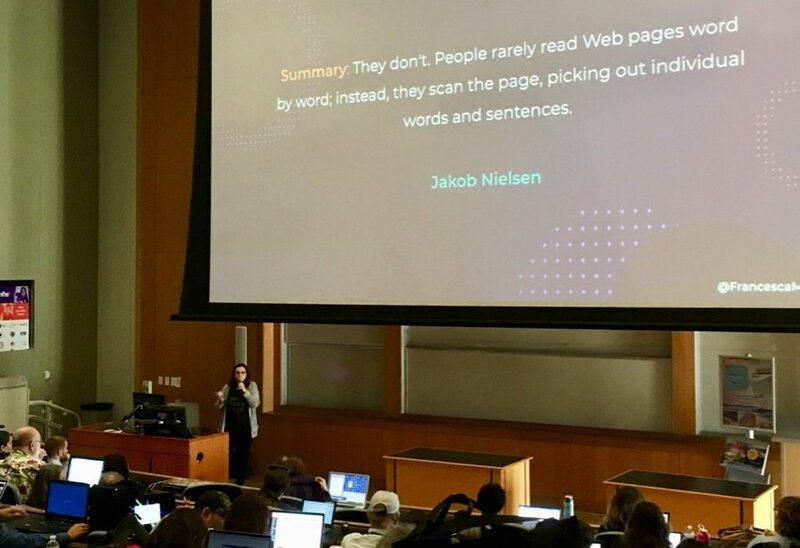 She discussed the importance of the readability of your content, explaining that website visitor data shows that most of us are “skimmers” of content and that it’s important we format our text appropriately to make sure our message is read easily and quickly. Formatting your text properly is also important for Search Engine Optimization and for Accessibility to ensure screen readers are able to read your content correctly. This was another favorite of mine. 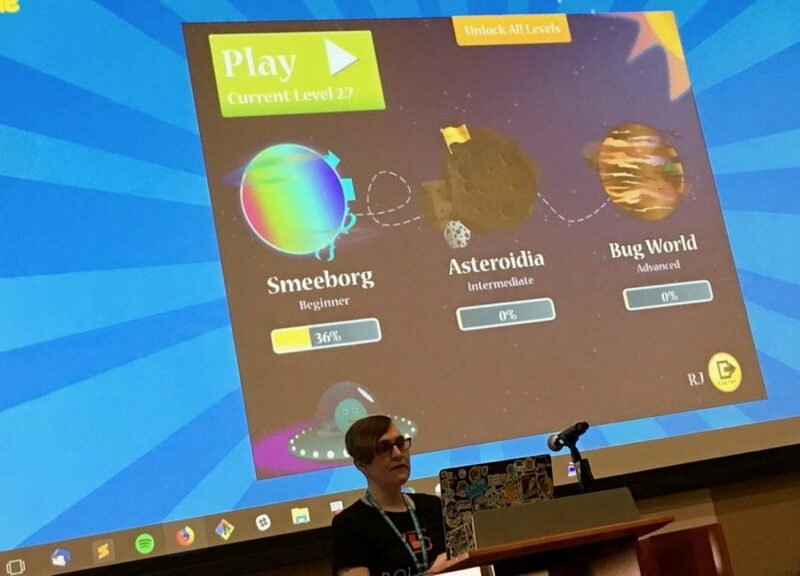 Nicole Paschen Caylor showed us the advantages of teaching kids about computer science and coding through the use of online games. Children as young as four can start learning about the concepts of programming and progress at their own speed. As you probably know, the coding industry is growing and those with the understanding and skills will be more in demand in the next 10-20 years. The content was well-presented and I came away with a to-do list for my own four and six-year-olds! My first session of the day was the AMA (Ask Me Anything) about security. I started my session by asking if there were any questions right away, and boy did I get questions! My session was well-attended and the audience was keenly interested in knowing what malware is, who’s creating it, and for what purpose. That discussion transitioned nicely into the slides I had prepared, which not only answered those questions but also offered 5 simple steps to secure your website. If you’d like to learn more about website security and how it applies to your freelance work and your clients, head over to my series, Making Security Make Sense to Clients to see how to educate your clients, earn more revenue and create peace of mind for your monthly maintenance plans. I also presented Security and Updates to the Teen Camp. My presentation was one of many for these 13-18 year-olds who were learning all about WordPress from start to finish in two full days. As a Dad myself, it was an honor to be involved and to spread the importance of security awareness not only for your website but also in your daily life. WordCamp Miami is the third largest event behind WordCamp US and WordCamp Europe. It was obvious from the initial planning stages all the way through the closing remarks that organizers were experienced and well prepared for any contingency. Our table was in a location with ample room for attendees to learn more about our products, such as SMART PLUS and Patchman, discuss our many partnership opportunities, and enter our Apple Watch raffle. WordCamp Miami was a bit of a reunion for me personally too. I’ve attended and spoken at a lot of events over the past two years and have forged great friendships with my fellow sponsors and speakers. I had the pleasure of reuniting with several people, which always makes the long days of standing and talking easier. 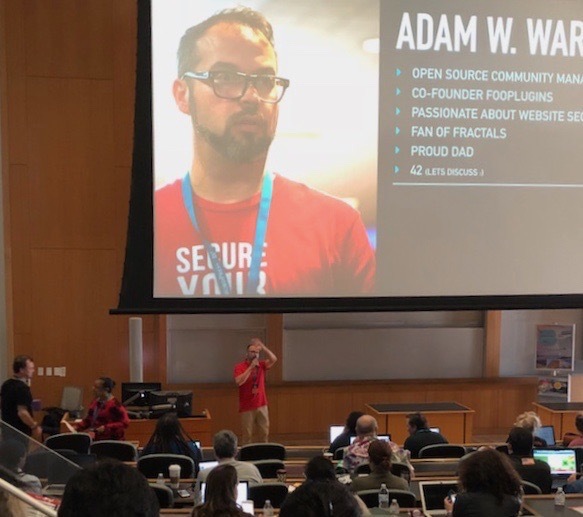 Throughout the event, #WCMIA set several milestones. These included a record number of attendees (1,000) and an almost perfect ratio of Female (48%) and Male (52%) speakers. David Bisset and Ptah Dunbar were recognized by fellow organizing team members (and the attendee audience) for their dedication with plaques commemorating the tenth year of WordCamp Miami. 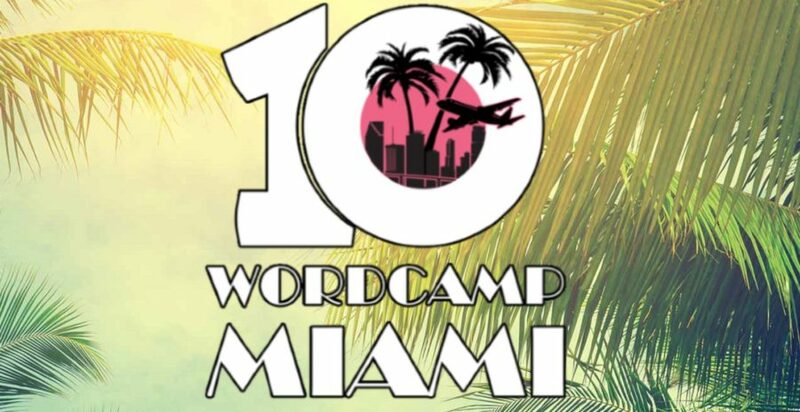 If you haven’t attended WordCamp Miami before, I urge you to put it on your list for 2019. I know we are! Again, our experience as sponsors was top notch and allowed us to dive deep into conversations about our malware scanning/auto-removal, WAF, and CDN services.